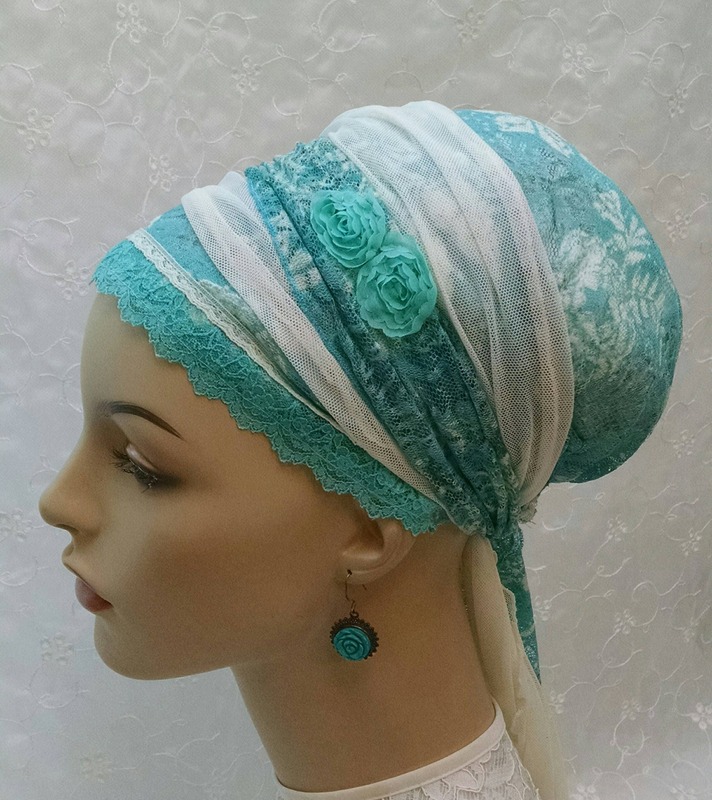 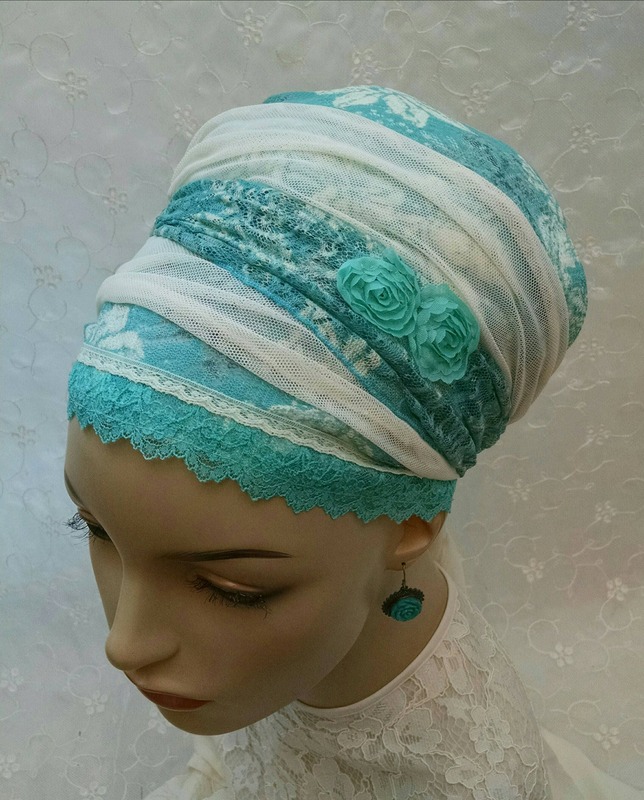 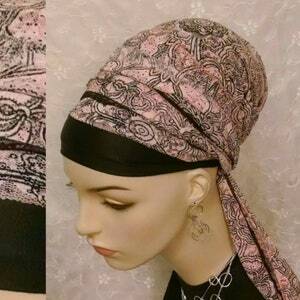 Special stretch lace sinar tichel. 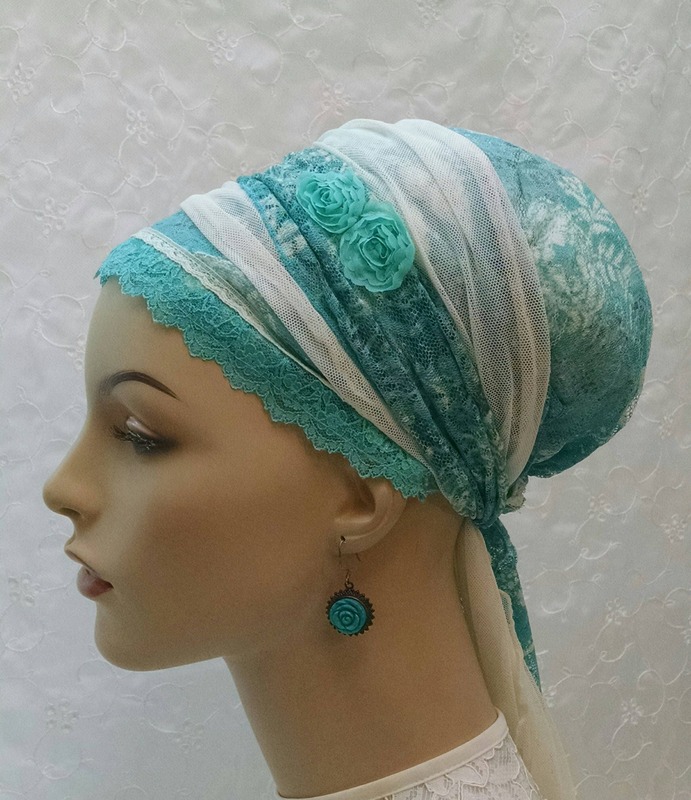 Light and supple with a pretty lettuce edge finish and two pretty flowers sewn on. 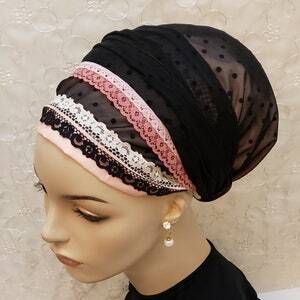 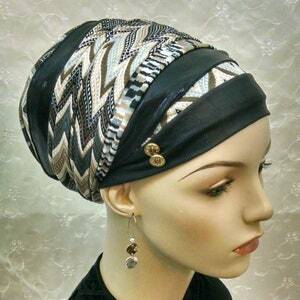 It wraps around your head easily and prettily. 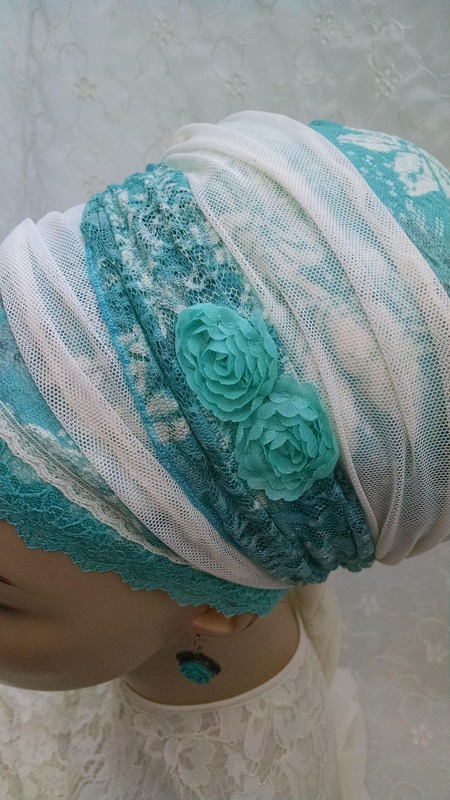 *The lace is see through and needs to be worn over a white volumizer. 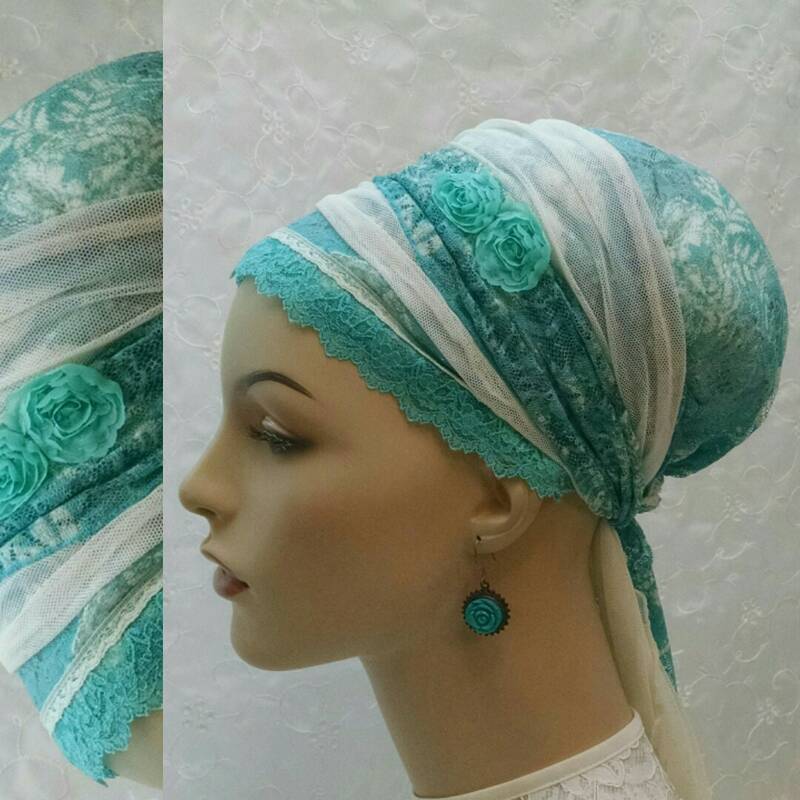 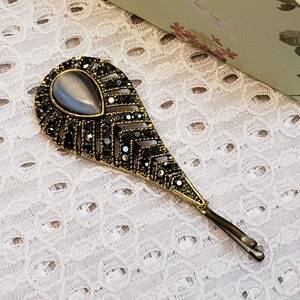 Perfect for a pretty look at home, work and very easily dressed up for Shabbos and special occasions!